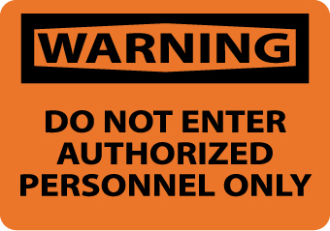 Orange and black “Do Not Enter Authorized Personnel Only” OSHA hazard sign. Made from rigid plastic. Size: 10.00x14.00in. Compliant with OSHA 29 CFR 1910.145.